California IVF: Davis Fertility Center, Inc. opened its doors for business in 2004. After months of preparation and quality control the clinic was ready to meet the challenges of providing advanced fertility services. The new center featured state of the art technology including the most advanced embryology equipment and modern air filtration system which was designed specifically for embryology work. With the assistance of engineers, the embryology lab was able to exceed “Clean Room 1000” specifications. This high level of air purification helps provide a less hostile environment and minimizes contamination from air pollutants. Combined with advanced incubators, heated work surfaces, and rigid protocols, California IVF was able to offer one of the most advanced embryology laboratories in the area. Our team has continued to grow and become better with time. Our expert laboratory staff is responsible for keeping our pregnancy success rates very high. We have grown our in-house donor program into a highly successful program with pregnancy rates that stand as a testament to the high quality work performed at our center. Our innovative donor embryo program, California Conceptions, is unique and highly affordable. The program attracts patients from outside the Sacramento Region due to the high pregnancy rates and refund option. Genetic testing of embryos has been performed at California IVF for over 10 years. As we continue to expand our services into the field of genetic testing and preimplantation genetic screening and diagnosis (PGD and PGS), the clinic continues to push forward into the future of advanced infertility treatments in the quest for a healthy and successful pregnancy. California IVF Acquires a Northern California Fertility Clinic in Sacramento. The demand for our services required us to double our staff between 2007 and 2008. Despite our rapid growth, we have remained committed to keep our patients at the center of our success. Through 2009 and 2010, California IVF: Davis Fertility Center, Inc. continued to grow and expand as patients and referring physicians heard the positive feedback and testimonials of our patients. We have remained committed to taking care of our patients and as a result, California IVF faced another milestone of growth in 2011. California IVF expanded with a Sacramento location by acquiring SIRM-Sacramento, located at 2288 Auburn Blvd. Suite 204. Sacramento based patients, were able continue their treatment under the direction and management of our infertility doctors and staff California IVF: Davis Fertility Center, Inc.
During the time of the acquisition of one Sacramento’s private practice fertility centers, California IVF also entered an affiliation arrangement with the University of California – Davis (UC Davis) to provide fertility treatment services for patients of the Sacramento based infertility program. This collaborative arrangement became effective in 2011. The unique relationship with UC Davis has provided California IVF with research opportunities that have helped to further the high quality services that are being offered to our patients. Research collaborations include work with the California National Primate Research Center. Regular research meetings and ongoing projects allow us to collaborate on observations between the similarities and improvements seen through primate research and develop projects to improve IVF outcomes in humans. Additionally, California IVF physicians hold appointments at UC Davis and participate in resident and medical student training. 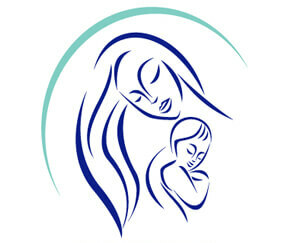 Due to the expanding reach of our center, our name changed to California IVF Fertility Center in 2011. Since that time we have participated in numerous research products, launched programs to develop new laboratory technology and techniques, and refined protocols for freezing eggs and embryos. The revised cryopreservation techniques allow for fertility preservation services that have been proven with live births – a claim very few clinics in Northern California can make. The advanced freezing techniques have been so successful that we are making significant changes to the approach to IVF services. Patients are now experiencing higher pregnancy rates than ever before due to the unique “freeze all” approach. Additional work with 3 dimensional microscopy and evaluation of mitotic spindles within the eggs will only lead to even higher success as the selection of the “best” embryo continues to evolve. In late 2016, California IVF Fertility Center will be moving. The new facility will be built specifically for IVF and incorporate many of the new advancements from the last few years. The very foundation of the center will be specially designed to accommodate modern IVF techniques and workflow. The new center will also feature a highly specialized air management system far more complex than the original system. The original system built in 2004 has been tested regularly and still performs to a very high standard, but the new system is expected to exceed the old system in every way. By incorporating HEPA filtration, UV decontamination, organic chemical filtration, and positive pressure flow, California IVF is preparing to have a laboratory designed specifically for us to welcome the next generation of fertility technology. We provide services to locations throughout Northern California. We are working to build strong network ties in the following cities and more: Davis, Sacramento, Dixon, Vacaville, Fairfield, Vallejo, Napa, Lodi, Redding, Roseville, Citrus Heights, Rocklin, Lake Tahoe, Fresno, and beyond. We have had many patients traveling from other locations within the state including Fresno and Southern California. We also work very well with patients from other states. With an efficient approach to care we can often minimize your visits to our center while maximizing your chances or reaching your goals of building a family.